Is this Green Beret the last Vietnam vet on active duty? In the 1970s, he was among the last Marines sent to deploy to Vietnam. In the '80s, he deployed to Honduras during the Contra Wars as an Army Special Forces Green Beret, he deployed into Honduras during the Contra Wars. In 1991, he was gassed in Iraq. And after 9/11, he fought terrorists in deployed to Afghanistan. He's was in combat zones before some of the captains in his unit were a twinkle in their father's eye. He is an environmental conservationist and holds has a master's degree of Fine Arts in creative writing. He is not the Most Interesting Man in the World. But at 59 years old with 42 years in uniform, 59-year-old soon-to-retire Michael Jarnevic is likely the saltiest sergeant major serving in the entire U.S. military armed forces. And when he retires July 8, he'll likely will probably be the last person last service member in uniform whose service record includes a tour during the Vietnam War deployment. "I don't know how you could actually prove it," Jarnevic told Marine Corps Times, "but the onus would be to disprove it." said. He knows knew of a few warrant officers serving until recently who also had Vietnam deployments, but they have since hung up their combat boots. And the last Vietnam War draftee, Chief Warrant Officer 5 Ralph E. Rigby, retired in November after 42 years of service. That makes Jarnevic, he is confident, the last Vietnam veteran serving. "One captain recently said 'you were in a combat zone before I was born,'" Jarnevic quipped wryly. Jarnevic He is now on terminal leave, having fulfilled after a final 16-month assignment tour as the senior enlisted adviser for the U.S. Joint Reserve Intelligence Support Element, part of U.S. Special Operations Command, of USSOCOM at MacDill Air Force Base in Florida. There, Simply put he was involved in one last war effort — coordinating analyst work against the Islamic State group. During a recent phone interview from his bucolic Montana home, he reflected on a life of service that started with operations against the communist Viet Cong and ended with operations against IS-affiliated religious extremists. His story begins long before he stepped on the storied yellow footprints at Marine Corps Recruit Depot San Diego in 1973. "When I was a kid in the late '50s, I was at our post office and spotted a Marine Corps recruiting kiosk," he said. "I said I wanted to be a Marine"
That became the "driving force" that shaped his young life. 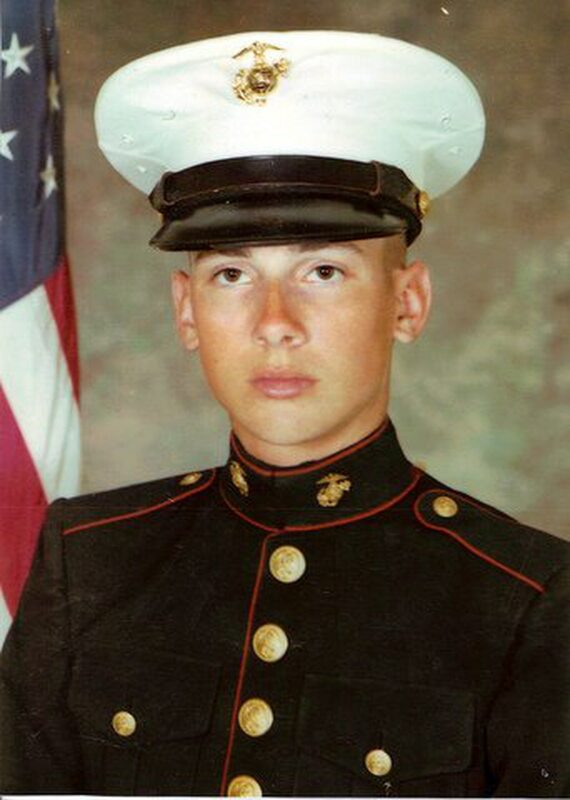 A little more than a decade later Jarnevic was completing boot camp as part of the last platoon to go through recruit training using the depot with the Korean War-era M14 rifle, not and not the M16 troops use today. Soon after, he was aboard the super carrier Ranger, and on his way to Vietnam ese waters. During that tour, while heading for leave in Hong Kong, Jarnevic and his buddies heard one day, they received word that Richard Nixon, embroiled in the Watergate scandal, had resigned as president. That It was a move that emboldened the Viet Cong, who interpreted it as weakness, he said. The Ranger was redirected to the waters off the coast of Da Nang in preparation for a potential evacuation as communist forces began shelling the city. The evacuation never came, and by October the Ranger was heading back to California with a crack in its hull. Had it not been for that, Jarnevic thinks his unit would have been part of the evacuation of Saigon evacuation in April of 1975. After returning to California, he retrained as an armorer before eventually transitioning to the Marine Corps Reserve, where he worked as a military policeman in Colorado. While there he made friends with a few Green Berets. They convinced him he was a good fit for Army Special Forces, SF and he was drawn by their unique mission, which combined his love of travel and teaching. "I liked the mission. I liked working with foreigners and the whole idea of training them. I think I had always been naturally inclined to be a teacher," he said. After getting his master's degree in the 1990s, Jarnevic taught would teach history and military science at the University of Montana. 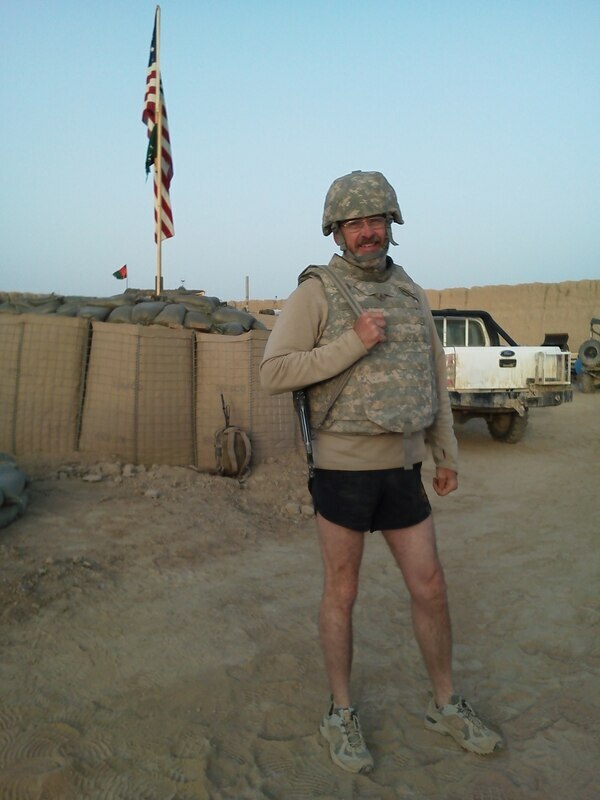 There was a bit of culture shock when he joined the Army, but he adjusted quickly. "It was certainly a transition, because you know the Marines are so steeped in tradition, have their own ways of doing things and lingo. So when I transferred to the Army it was a different language, a different world." His whirlwind career in Special Forces SF would take him all over the world during the next few decades, including to Central America as part of a proxy war that pitted Soviet-backed Marxist communist fighters against U.S.-backed Contras in Central America. It was a war defined as much by cloak-and-dagger and hit-and-run tactics as it was by conventional open combat. Green Berets were there as advisers, training local allies to fight. It was the bread and butter of Special Forces' foreign internal defense mission and the reason Jarnevic joined. Michael Jarnevic was a special forces medic during the first Gulf War. Seen here in Kuwait, he experienced the biggest scare of his career when his unit believed it was under a chemical weapons attack. But the single experience from the decades of service that most stands out in his mind was a 1991 chemical weapons attack in that didn't happen until 1991 when he deployed to Iraq, where he was deployed as a SF medic with the 7th Special Forces Group's mobile training team. They were attached to the Egyptian 3rd Mechanized Division. Jarnevic described the Egyptian forces as substandard. When saying on Feb. 24 when U.S. forces pushed into Kuwait, the Egyptians he was attached to refused to cross the border in their own tanks. Instead, he said, they rode as passengers in Army Humvees, with their tanks trailing behind. During a pause in their advance, momentary break in the invasion, the Egyptians were listening to rock music and dancing. Suddenly, two men appeared, racing when two ran towards Jarnevic who was at a Mercedes ambulance. They had rags covering their mouths, but their screams were clear. "Gas!!!" "That was a moment of terror that will always stick out in my mind," he said. They immediately transitioned to "MOPP 4," or Mission Oriented Protective Posture 4, donning in which troops wear a full protective suits, boots, mask and gloves. Unlike a conventional enemy, you can't really fight chemical weapons, he said. You can only have faith and hope that your equipment will do its job. The attack was declared deemed a false alarm, but after having removed some of their protective gear, they it was later discovered there were in fact chemical weapons contamination in their area. Jarnevic never suffered symptoms, but he suspects Iraqi forces had spread chemicals on the ground so they would "get on your skin as you drove around," he said. "You would breath it, eat it." 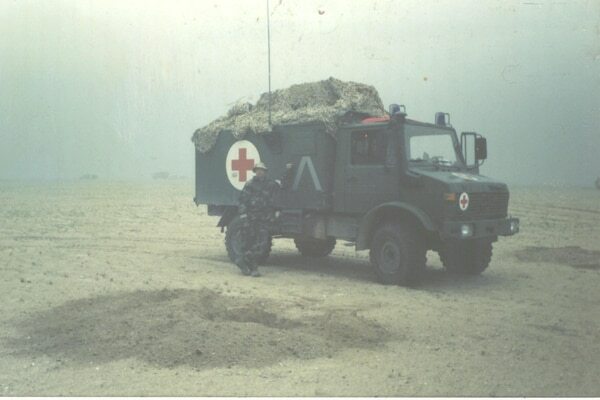 After the Gulf War Jarnevic held a number of assignments in joint billets within the special operations community. In 2004, with 34 years of service, he was notified he was on the verge of being forcibly retired at 34 years of service. Jarnevic secured a waiver, though, granting him approval to was able to get approval from Army Human Resources command to serve through age 60. He promptly years old and re-enlisted — for 11 years. A big help, he suspects, was his specific Special Forces 18 series SF specialty, known as "18 series." Shortly after 9/11 there was a stop-loss put on the specialty, meaning the Army was in such dire need of Green Berets that it was preventing some from leaving as operations in Afghanistan and Iraq hit a breakneck pace. The extension gave would give him the chance, finally in 2012, to deploy to Afghanistan as an analyst attached to Special Operations Task Force-East. Sgt. Maj. Michael Jarnevic deployed to Afghanistan for the first time in 2012. Jarnevic is now formulating plans for retirement. And while it still hasn't entirely sunk in, he said, the fact that his time as a soldier has come to an end has started to hit him in unexpected ways. He was clearing out his medicine cabinet recently and was reminded of the change ahead when he tossed into the trash anti-malarial medicines prescribed for past deployments that have taken him to 38 counties. He plans to double that number, but not by traveling to the boonies in malarial climes. "I want to go to nice places for a change," Jarnevic said. He cherishes his experiences in Central America, Southeast Asia, Africa and elsewhere, but he said he has no desire to head back to Nigeria, for example. His plane tickets will be more likely to read Paris sounds good, he said, than Kabul in the years to come. Apart from traveling, he plans to embrace one of his greatest passions — wildlife and environmental conservation. Jarnevic has been active in conservation efforts for years, working with groups including the Sierra Club and sitting on the Montana Wilderness Association's state council. Now he plans to leverage his degree in writing to author stories for environmental publications. He was first inspired to support conservation after moving to Montana in the 1980s and seeing what he described as one of the last pristine ecosystems under attack. Some seem perplexed by a Green Beret conservationist. "Some say it is a contradiction, my military service and conservation. But part of what I'm fighting for as a soldier," he said, "is conservation of the planet we are living on."